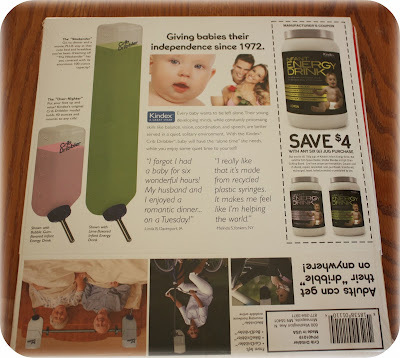 mommy's reviews: Prank Pack Fake Gift Boxes Make Gift Giving HILARIOUS! So, how many pranksters read my blog?? Do you like to play practical jokes on people? My daughter pulled one on my hubby recently and he just about died. It was late at night and he had not yet come to bed but she was still awake. I quickly ushered her into our room and snuggled her waaaay down under the blankets on his side of the bed. When he came in to go to bed he shuffled around the room and then proceeded to pull the sheets back. He saw Hannah's big eyes peeking out from under the blankets and yelled and jumped all at the same time!! I honestly never thought it would scare him like that and that is the reaction you always dream of getting but goodness, it was very funny. Now, I walk around on pins and needles waiting for his payback. HA! Playing clean and fun jokes on others can be fun and the holidays are the perfect time to exercise a bit of humor...especially during gift-giving time. 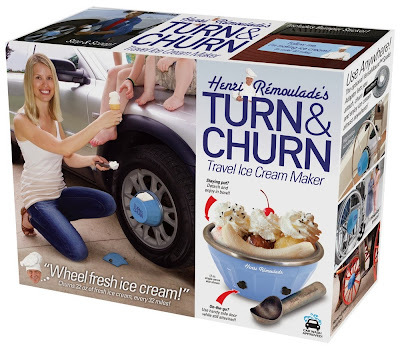 Prank Pack fake gift boxes appear to contain ridiculous products from clueless companies. Just pack your real gift inside, sit back and revel in your gift recipient's half-hearted enthusiasm. Your party will thank you! 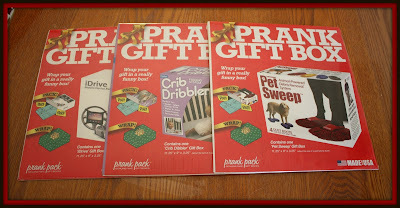 Having never heard of anything quite like these Prank Gift Boxes, I was immediately intrigued and just by looking at the site I knew it would be a fun item to review. So, for this review I was sent three Prank Pack Gift Boxes. I was sent the Pet Sweep Box, the iDrive Box and the Crib Dribbler Box. Sounds great, doesn't it?? I have to tell you here...as soon as my package arrived, my husband had such a blast looking at these boxes. I think he is going to confiscate every one for gifts for his co-workers. 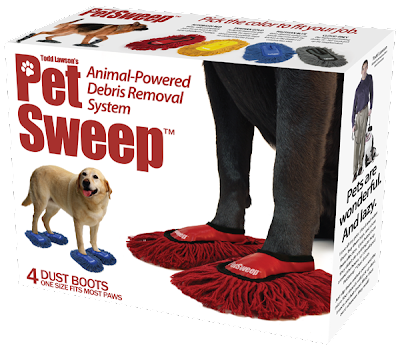 Especially the Pet Sweep Box for his boss, who recently got a new dog. HA! Each box comes flat and you do need to unfold it into it's box shape. When fully unfolded, it is about the size of a large phone book. It you have a totally gullible friend or relative, they will probably have some great reactions to the box itself...take a look at the box pictured above. 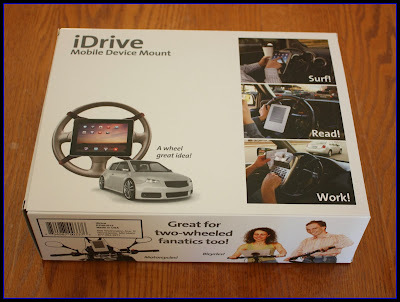 It supposedly contains an iDrive Mobile Device Mount. You can only imagine what this device will do...soooo funny! 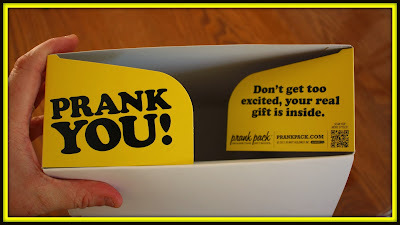 Once your suspect opens the box from either end, they will be greeted with this kind message that will immediately let them know that they have been "pranked". I love this. I can think of sooo many people that I want to use these on!! 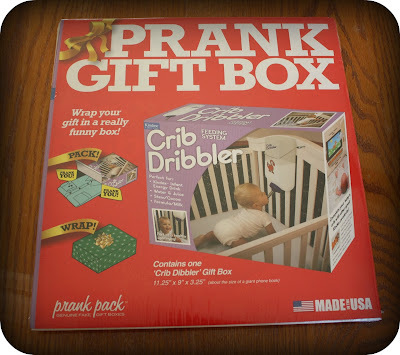 My ultimate favorite of the three I was sent was the Crib Dribbler Box. Oh goodness...the box shows a rodent-type water container in a crib with a baby sucking on the end of it. The idea is that you can keep baby "watered" all night long or any time you want some "me" time. Trouble sleeping through the night because of night time feedings??? Try the Crib Dribbler! Of course, we all know that there is no such product on the market and that this is all just a prank designed to make people smile. I for one LOVE this box and it would definitely make a fantastic gift for anyone who is expecting a baby or is a new parent.